Get her ready to look her best wearing the Oscar de la Renta Childrenswear Cotton Dress. Short, ruffle sleeves with pompom cuffs. Product measurements were taken using size 4 (Toddler). Please note that measurements may vary by size. 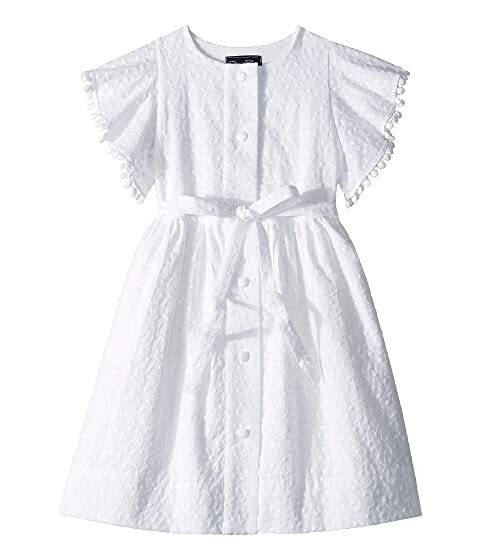 We can't currently find any similar items for the Cotton Dress (Toddler/Little Kids/Big Kids) by Oscar de la Renta Childrenswear. Sorry!